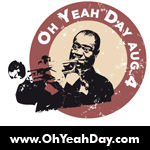 15 tunes, live recording featuring Grammy Award winner vocalist Catherine Russell (USA), trumpetist Herbert Christ (Germany) & the world's foremost banjo player, Ken Aoki (Japan). 16 tunes, recorded by the SWR German TV Company. Fascinating quality. 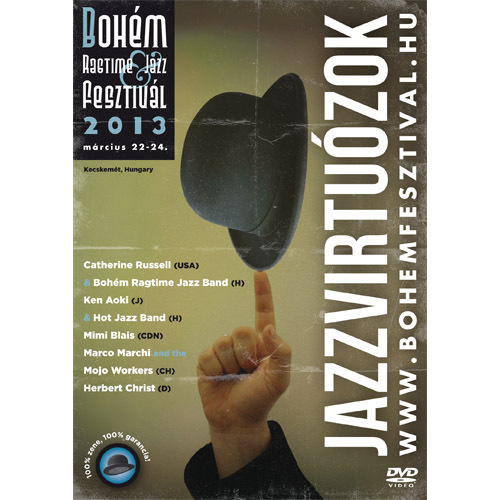 Great compilation of this spectacular international gathering, 4 bands, 1 singer, 1 pianist, 7 countries, 22 tunes. (about 20 EUR/23 USD/21 CHF/16 GBP). Great compilation of this spectacular international gathering, 1 duo, 2 bands, 6 countries, 16 tunes. 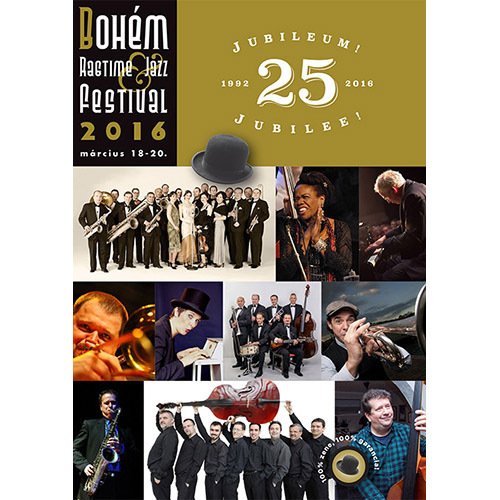 Bohém Ragtime Jazz Festival 2014: New York, New York! Great compilation of this spectacular international gathering, 4 bands 3 countries, 16 tunes. 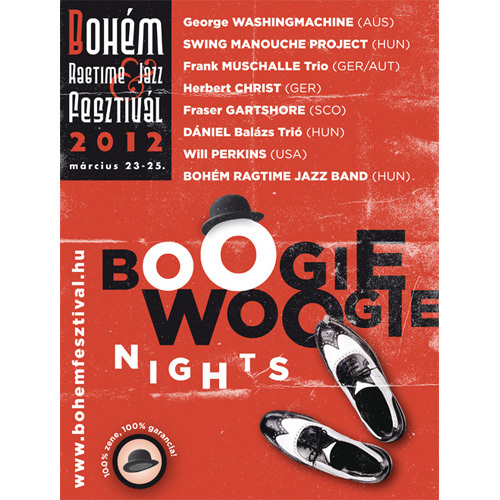 Live recording of all appearances of the Japanese Ken Aoki, most amazing banjo player of the world, at the Bohém Festival. 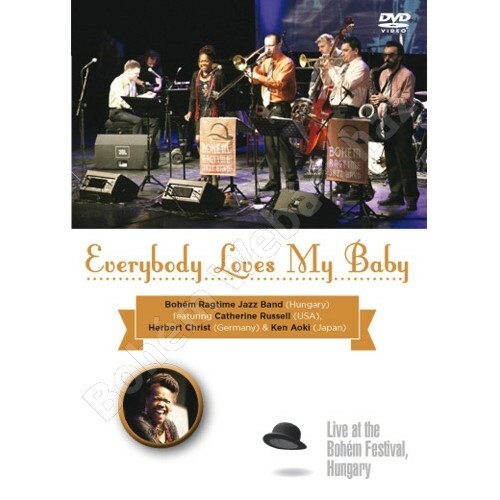 Entire concert of the great Swiss blues band featuring Catherine Russell in the bonus track. 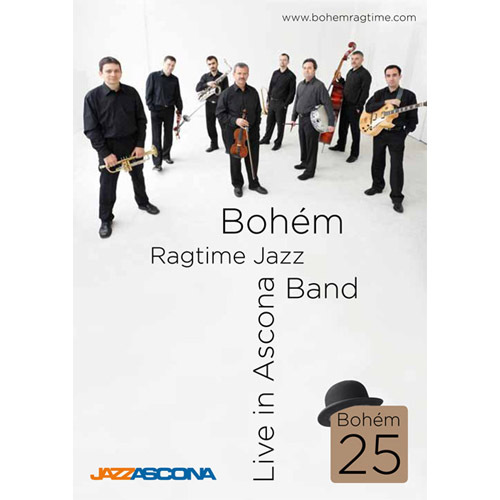 The entire closing concert of the 2013 Bohém Festival, 2 bands and 6 soloists from 6 countries, 19 tunes. 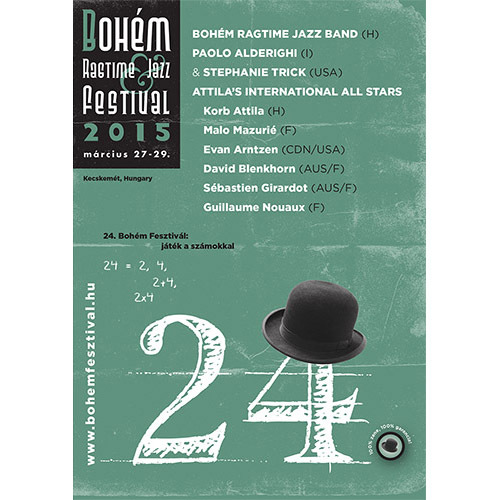 Great compilation of this spectacular international gathering, 3 bands and 4 soloists from 6 countries, 22 tunes. Great compilation of this spectacular international gathering, 22 tunes. For more information and other methods of payment click on the picture! Great compilation of this unique international programme, 17 tunes.